An academic and arch-sceptic is drawn into a quest to disprove the reality of three inexplicable cases of supernatural activity. 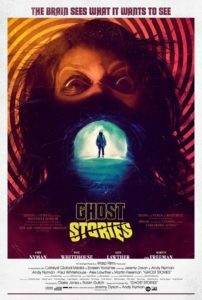 Adapted from a successful stage play that first toured the UK in 2010, Ghost Stories is a macabre anthology piece in the tradition of the best of Hammer and Amicus productions from the 1960’s and 70’s. The big screen version successfully adds a cinematic scope to Dyson and Nyman’s play, expanding and adding to the background of the story, while keeping the sharp surprises and air of disquiet present in the original format. 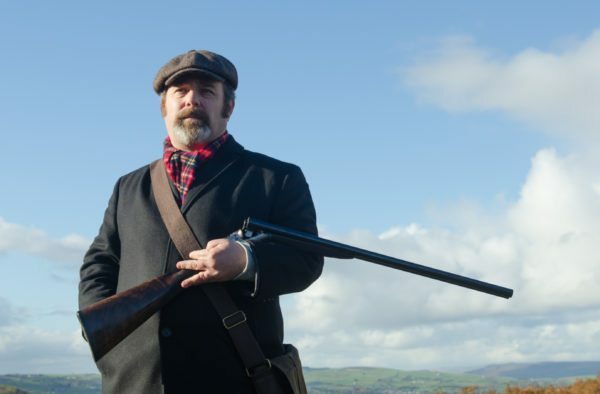 The film follows Prof. Phillip Goodman (Andy Nyman, starring as well as writing) as he seeks to uncover the truth about a series of three ‘unsolvable’ cases. Driving around the country in a vintage car and exuding an air of superior intellect and authority, Goodman is introduced as someone convinced of his own logical sense. That logic soon becomes challenged as he looks into the cases in more detail. 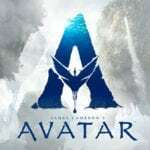 The first stars Paul Whitehouse as a night watchman with a troubled family history relating a tale of terror from his time as the security at an abandoned asylum. The story works well as an introductory piece to the whole, gradually letting the audience into the Prof.’s mode of thinking and style of interview. Thematically, this is the lightest of the pieces and a good choice for Whitehouse, predominantly a comic actor, to draw Goodman – and the audience – into the mysterious web of the case files. 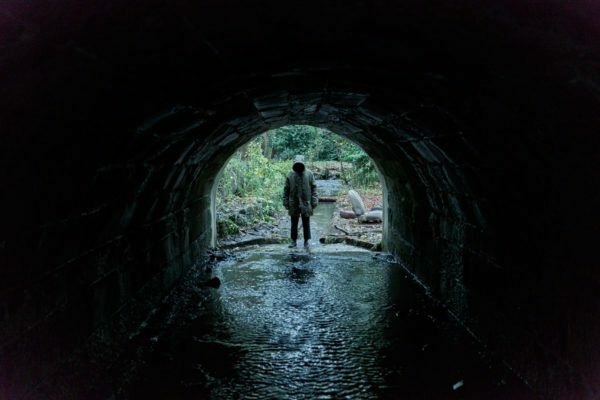 The second case concerns an anxious young man (Alex Lawther, The Imitation Game, Black Mirror) who has a terrifying encounter with a demonic force on a country road while borrowing his parents’ car. Again, the case slowly rubs away at the Prof.’s self assurance, and parallels begin to show in his own personal history. This is made even more apparent in the third case. 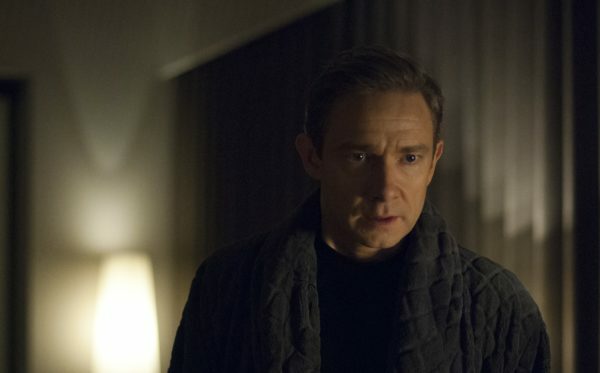 Starring Martin Freeman as a wealthy ex-banker living in a country mansion with his heavily pregnant wife and a troublesome poltergeist, the story brings each of the narrative threads into a more complete picture. Shifting the focus from the central figures of the cases to Prof. Goodman himself, the film brilliantly moves from a collection of supernatural tales to a full-on psychological meltdown. It is in this reworking and bridging of the story of Nyman’s Prof. that the film really bears fruit. The original stage production was brilliantly fun and had its fair share of jumps and scares, but it didn’t have the means to go beyond the expected style of anthology horror. The film version on the other hand does, and does so in a way that is psychologically and emotionally developed, and has a surprising complexity about it. Fans of Dyson’s TV work with The League of Gentlemen will love it, as will anyone sharing a love of classic British horror. Ghost Stories is in US Cinemas and on cable VOD from Friday, April 20th.